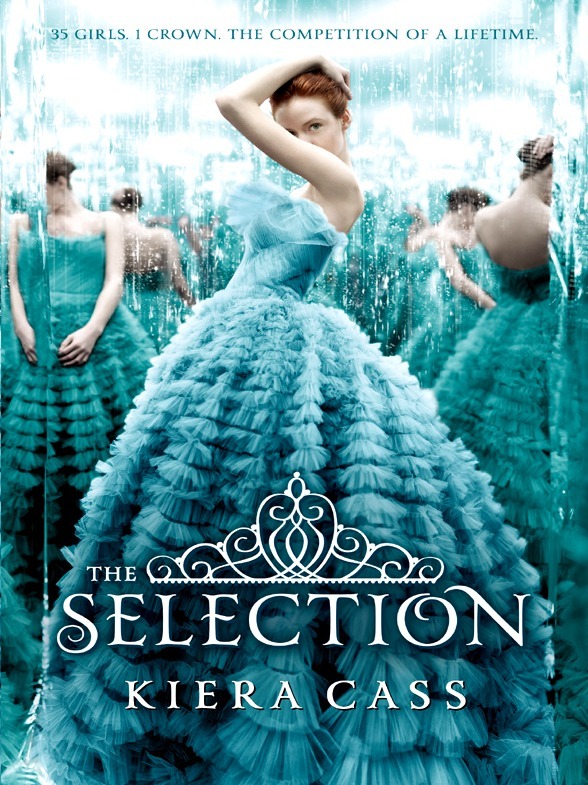 Kiera Cass' YA Novel 'The Selection' To Become Movie With Warner Bros.
Home Based on the Book Kiera Cass’ YA Novel ‘The Selection’ To Become Movie With Warner Bros.
Kiera Cass’ YA Novel ‘The Selection’ To Become Movie With Warner Bros. YA fans can celebrate today! Another YA series with a huge fandom is coming to the big screen! 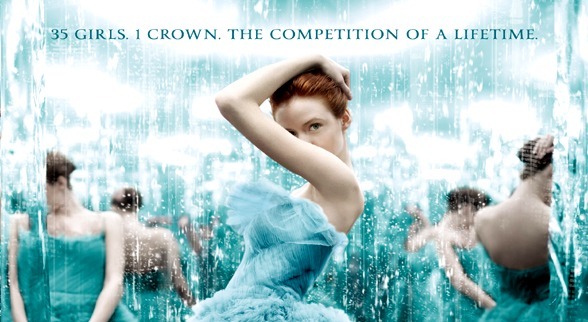 In “The Selection,” 35 girls are chosen to compete for the heart of Prince Maxon. But when America Singer is selected, it isn’t quite the dream she hoped for; she must turn her back on her secret love with a boy named Aspen and enter the fierce competition for the crown. But there’s more to Prince Maxon than she thought, and maybe the life she dreamed of can’t compare to what the future has in store. Denise DiNovi and Alison Greenspan of DiNovi Pictures’ will produce alongside Pouya Shahbazian. Deadline reports that Katie Lovejoy will be the writer to adapt “The Selection” to the big screen. She doesn’t have a lot of experience — she’s written an episode of “Dracula” and has two projects in development, a drama titled “Arsonist’s Love Story” and a TV series titled “Critical” – but she seems super enthusiastic about the project, which is a big plus in my book. I hope she works with Cass on getting the details right. Movie adaptations are always better, I think, when the author has a hand in them! While I’m not in “The Selection” fandom myself, I know plenty of lovely readers who are. This book will be a lot of fun to see on the big screen, and I can’t wait to see who they cast! Who would you cast in “The Selection” film? Sound off in the comments below! Congrats Kiera Cass on securing your YA book series for the big screen. I read a sample of the first book and was hooked. There are so many great actors/actresses that would fit the characters within this series so well. I’ve made my suggestions of the iflist.com which has developed a list of actors/actresses you can vote and nominate for the cast. I really hope the movie producers look into some of these suggestions, they are great! America: Shailene Woodley, (with long hair), or Audrey Hollister. Lily Collins as America pleaseeeeee!!!!! yes.!!!! I love her soooo much!!!! for America, i think either Lily Collins or Jaqueline Emerson. For Maxon, i can see Luke Hemmings, but since he’s not an actor, either Josh Hutcherson, Dylan O’Brien, or Gregg Sulkin, of course they would all have to dye their hair. I would really really like for AUDREY HOLLISTER to play America as she is the model for America on the front covers for the books and I think she would do a super amazing job at it 🙂 PLEASE! I want that, too. I love the covers and she is very pretty and I could just imagine America as her. I think Richard Madden would make an awesome Maxon, if he dyed his hair blonde. Zac Efron would be a good Aspen too. If Taylor Swift dyed her hair red I think she’d make a great America! I agree! I love this series and only two of my friends have read it and I know a lot of people! Lol. I just love having that feeling that the series is yours and yours alone. yeah, i’ve always imagned his hair light brown. Personally, I think Greg Sulkin would be great as Maxon, but I’m still not sure who should play him. However, Audrey Hollister should at least be asked to play America since she’s already the face everyone pictures as America. I think that Ansel Elgort would be perfect as Maxon and Lilly Collins as America. Yes Ansel Elgort would be THE PERFECT MAXON!! He has that persona in him just as Maxon is described as to who he is in the series. Maxon has that tenderness to his personality and even in his way of speaking, and his demeanor. Ansel is just like that! Except for the obvious fact that Ansel has dark hair and Prince Maxon has blonde hair. But that’s no biggy ;). ANSEL ELGORT!!!! I want Colton Haynes as Maxon. YES He would suit the roll perfect.y with his personality and looks!! I think that Alex Peffyter would be an amazing Maxton. Like Zack efron as aspen. And Audrey hollister or Chloe from Pitch Perfect. Im not sure of her name though. I think I would be a great part for America Singer! I have naturally red hair, unlike many other actresses I’ve seen listed! Im so excited of the movie. OMG! I do hopeAudrey Hollister would take the role of America and i would like Max Irons or Gregg Sulkin to play as maxon. They really fit the roles of each character. Can’t wait already! Lily Collins doesn’t really fit for America. Michelle Trachtenberg should be Celeste! She is so pretty and would be perfect. I totally agree it won’t be the same since everyone’s so used to seeing her represent America if it’s someone else. release date anyone??? I don’t think I can wait long for the movie to come into theaters!!! dude its probably not going to come out for a couple years since the producers have to make like 20 different scripts before choosing one… but i totally feel ya, the movie could come out tomorrow and it wouldn’t be soon enough. <3<3<3 The Selection! I would love Dylan O’Brien to be Aspen please!! Emma Stone would be great! i think that Audrey Hollister should be America because she was on the book cover and she is already sort of “America Singer.” Second, I think that Bonnie Wright will also be a good America. I love these books and there would be so many good choices for actors/ actresses. One question can I be marlee??? Robert Pattinson as Maxon and Emma Watson as America. Totally Emma Watson for America!! I love that girl! I agree with you we need a red head as America, not some blonde girl. I nominate Josh Hutchinson. He would be a dreamy Prince, and the guy that plays Four from Divergent would be a perfect Aspen. For America, I would love either Kat McNamara or Holland Roden. It would be AMAZING!!!!!!!!!!! Especially Robbie Kay and Bonnie Wright, though they would have to talk in an american accents. Ha! AUDREY HOLLISTER as America, Max Irons as Prince Maxon, and Britt Robertson as Marlee. That really should be the cast because Liam hemsworth is awesome and Audrey hollister is already the face pretty much everybody sees as America. Theo James is really cool and would make a great guard. Also he is really cute. Britt Robertson would make a great Marlee because she would fit the profile. I am sooo excited for this (these) movies I seriously can not wait!!! AS for the cast I think these people would be absolutely perfect!! I think any of those people would be amazing for those parts!!!!!!! I think Holland Roden should play America singer, Dylan O’Brien should play Aspen, Josh Hutcherson should play Maxon, and Lindon Ashby should play king clarkson. Dylan O’Brien or Tyler posey as aspen !!!! Oh my goodness plz let Audrey hollister be the America singer!!!! I can’t wait for ‘The Selection’ to be turned into a movie! I JUST checked out the book from my library last Friday and I devoured it by Sunday morning. It’s Monday and I’m more than halfway finished with the second and I am in LOVE!!!!! I adore this series and next time I get the chance to go to a book store, I am picking up all the books and they will be the first things (other than clothes) that I pack to take with me to college next fall. OMG! SOOOOOOO GOOOOOD!!!!! Audrey Hollister for America Singer. Max Irons for Prince Maxon. Logan Lerman for Aspen Legers. Britt Robertson for Marlee Tames. Patrick Schwarzenegger would be good as Maxon! Especially if you see the Right there music video by Ariana Grande. I think Josh Hutcherson should be Prince Maxon and Chloë Grace Moretez should be Marlee Thames. Audrey Hollister should totally be America Singer!!!!!!! Can’t wait for this to come out. I do not think that Audrey Hollister should be America because she is in her thirties (not saying that she couldn’t look young, but almost a fifteen year difference is a lot), and it would be hard to make her look seventeen. she is a great model though. I think that Dylan O’Brien should play Aspen, and that Sophie Turner would make a good America. Alexander Ludwig would also make a great Maxon in my mind. I just hope that the movie would come out so everyone else in my school can be as obsessed with these books as I am. I’ve read them all twice, in a matter of two days each time. I will probably end up reading them again in six more months. Kiera Cass, you are a great author. there are not many books I would read more than once just for fun. I want the movie to come out so bad. I love the selection. Best series in the world! I think that Amy Adams should play as America. OMG Audrey Hollister! She would be America. Adurey is in the cover of the One. Colten Haynes would make the perfect maxon! He’s got the exact same personality, is really charming and looks just like him! !